The use of new engineering materials in the aerospace and space industry is usually governed by the need for enhancing the bearing capacity of structural elements and systems, improving the performance of specific applications, reducing structural weight and improving its cost-effectiveness. Crystalline composites and nanomaterials are used to design lightweight structural elements because such materials provide stiffness, strength and low density/weight. This book reviews the effect of high temperature creep on structural system response, and provides new phenomenological creep models (deterministic and probabilistic approach) of composites and nanomaterials. Certain criteria have been used in selecting the creep functions in order to describe a wide range of different behavior of materials. The experimental testing and evaluation of time variant creep in composite and nanomaterials is quite complex, expensive and, at times, time consuming. Therefore, the analytical analysis of creep properties and behavior of structural elements made of composite and nanocomposite materials subjected to severe thermal loadings conditions is of great practical importance. Composite elements and heterogeneous materials, from which they are made, make essential changes to the classical scheme for constructing the phenomenological creep model of composite elements, because it reflects the specificity of the composite material and manifests itself in the choice of two basic functions of the creep constitutive equation, namely memory and instantaneous modulus of elasticity functions. As such, the concepts and analytical techniques presented here are important. But the principal objective of this book is to demonstrate how nonlinear viscoelastic engineering creep theory can be incorporated into the general theory of mechanics of materials so that composite components can be designed and analyzed. The results are supported by step-by-step practical structural design examples and will be useful for structural engineers, code developers as well as material science researchers and university faculty. 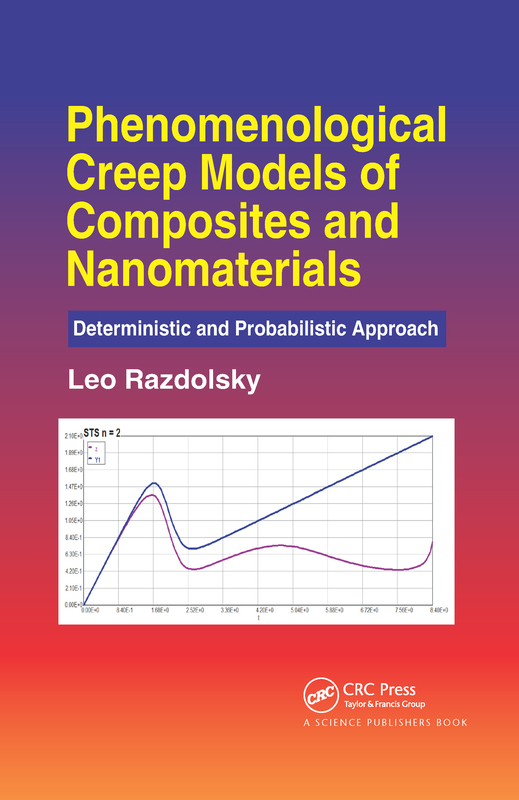 The phenomenological creep models presented in this book provide a usable engineering approximation for many applications in composite engineering.